Kevin Harvick, driver of the No. 4 Busch Beer Ford Fusion for Stewart-Haas Racing (SHR), is helping to turn back the clock this weekend at Darlington (S.C.) Raceway, site of Sunday night’s Southern 500 Monster Energy NASCAR Cup Series race. In true Southern 500 fashion – and celebrating the race’s theme of turning back the clock to the1985 through 1989 era – Harvick’s No. 4 Busch Beer Ford will feature a bold look inspired by Busch Beer’s iconic “Head for the Mountains” advertisements from the late 1980s. Old-school race fans will recognize the paint scheme on Harvick’s car that is inspired by the No. 11 car piloted by Cale Yarborough during the 1979 season, but with a distinct twist: the rearing black stallion that was a mainstay in Busch advertising in the 1980s is prominently featured on the hood. Yarborough drove the iconic Busch Beer paint scheme in one of the most significant races in NASCAR history – the 1979 Daytona 500. With most of the eastern part of the United States covered in snow thanks to massive winter storms, millions tuned in to watch the race, which was the first 500-mile NASCAR race televised in its entirety. The 1979 Daytona 500 featured intense racing and an incredible finish that resulted in a brawl following the checkered flag. On the final lap, race leaders Yarborough and Donnie Allison collided on the backstretch. Neither driver was able to finish the race, opening the door for Richard Petty, who trailed by nearly a half lap at the time of the incident, to win his sixth Daytona 500. As Petty made his way to victory lane, a fight broke out between Yarborough, Allison and his brother Bobby Allison inside of turn three where the cars came to rest in the infield following the on-track collision. The live television broadcast caught both the finish and the fight and NASCAR gained national publicity. Yarborough drove the No. 11 Busch Beer car for the entire 1979 and 1980 seasons. He went on to score 10 wins, 38 top-five finishes, 44 top-10s, 15 poles and led 4,130 laps over the 62-race span. Darlington is the perfect setting to celebrate Busch Beer’s deep racing roots, which date back nearly 40 years. Highlights of Busch’s storied racing heritage include sponsoring the Busch Pole Award in 1978, presented to Cup Series pole winners each week. Busch introduced the Busch Clash in 1979, held each year at Daytona (Fla.) International Speedway the week prior to the Daytona 500. And it was title sponsor of NASCAR’s stepping-stone division – currently known as the Xfinity Series – from 1984 through 2007. Busch Beer also held the “Official Beer of NASCAR” status from 1988 through 1997. 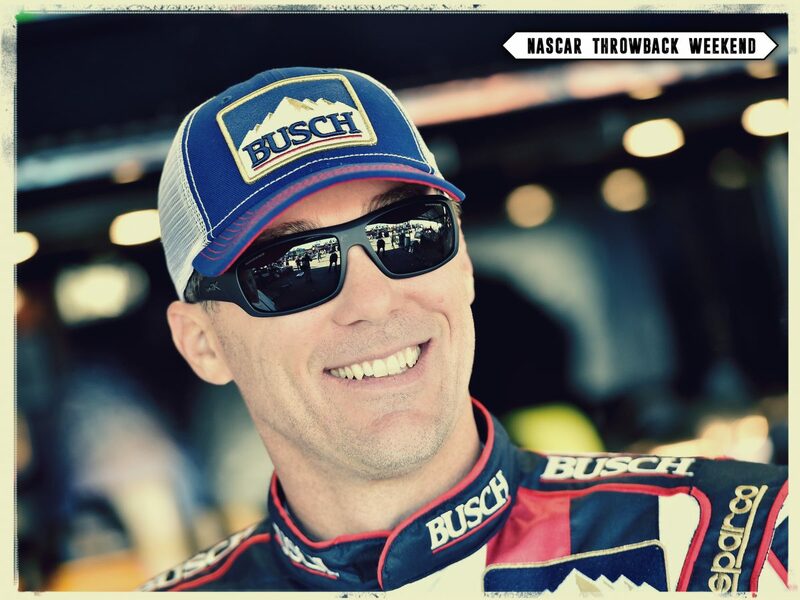 In 2014, Harvick won the 65th running of the iconic Southern 500 – one of the crown jewels on the 36-race Cup Series schedule – in dominating fashion. He started from the pole and led 238 of 374 laps en route to beating runner-up Dale Earnhardt Jr. to the finish line by .558 of a second. With only two races remaining before the start of the 10-race Monster Energy NASCAR Cup Series playoffs, Harvick would like to add his second win of the season at Darlington Sunday night. He scored his first of the year at Sonoma (Calif.) Raceway in June. The win at Sonoma allowed Harvick to clinch his spot in the playoff field for the 11th time in his career. He only needs to attempt to qualify for the remaining two regular-season races to make his playoff status official. What’s it like to have a past driver associated with your throwback weekend?